Bill Morris, PE, LEED AP along with Cristina Meyer of CC+M Design Group, Ryan Richards and Charles Gutekunst of RG Architects, PA, and Jenna D. Persons, Esq. 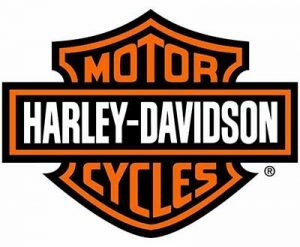 of Strayhorn & Persons, PL are leading the permitting efforts being coordinated by David Bubley of Chase Builders for the construction of a new Harley-Davidson of Fort Myers dealership. Mark Hatfield, PSM, Morris-Depew Associates, provided surveying services for subdivision platting, topographic and boundary surveys. The initial phase of construction for the new Harley-Davidson store has commenced while permitting is ongoing. Upon its completion, the dealership owned by Scott Fischer Enterprises will be relocating from Colonial Boulevard to a spacious 16 acre parcel conveniently located in the Southeast quadrant of I-75 and Daniels Parkway. The new dealership will continue to offer sales and service and also includes a private outdoor park, a riders education training facility, and a Quaker Steak and Lube restaurant. In December 2012, DR Horton finalized the transaction to acquire over 240 lots in both the North and South areas of Moody River Estates. Homes to be built will range in size from 1800-3500 square feet. Ryan Shute, PE and James McCord, RLA, LEED® AP, ASLA are working with DR Horton on the design and permitting for enhancing the common areas and entryways of Moody River Estates subdivisions. Mark Hatfield, PSM, is assisting in the design efforts by providing the topographic surveys. 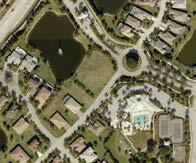 DR Horton is working closely with James McCord, RLA, LEED® AP, ASLA on fourteen additional subdivisions within Southwest Florida. James is providing enhanced landscape, lighting and irrigation design as well as hardscape design for entries, amenity centers, monuments, signage. Tina Mayfield Ekblad, MPA, AICP, LEED® AP BD + C has been promoted to Planning Director for the firm of Morris-Depew Associates, Inc. Since joining the firm Ms. Ekblad has been managing a variety of projects, including the River Hall comprehensive plan and zoning amendment efforts, the Corkscrew Woods comprehensive plan and zoning amendments, design and permitting of numerous financial and medium sized retail outlets, and directing research on a number of litigation support projects. Her level of professionalism and expertise in planning has been consistent with the high levels of the firm and she represents a clear direction for the firm’s future efforts. Congratulations, Tina! Jim St. Germain, a PGA golf pro, instructor and site owner has been coordinating with both Ryan Shute, PE, and James McCord, RLA, LEED® AP, ASLA, on his 30 acre Alico Family Golf Center project. Morris-Depew Associates took the lead on both permitting and design, while working closely with Matthew Bechtel, of Sheeley Architects and Randy White, golf consultant with White-Hutchinson Leisure & Learning Group. The site, located in the northwest quadrant of Alico and I-75 off of Lee Road, will offer a course for beginners or pros of any age as well as a miniature golf course, clubhouse and outdoor barbecue. Opening for the center is anticipated in January of 2014. On April 15, 2013, with the assistance of Charles Basinait, Esq. of the firm of Henderson, Franklin, Starnes and Holt, P.A., Tina Mayfield Ekblad, MPA, AICP, LEED® AP BD + C and Ryan Shute, PE obtained approval from the Lee County Board of Commissioners for a two-phase retail development located at 16782 McGregor Blvd. The 2.27 acre property was approved for a Commercial Planned Development of 19,100 SF of commercial retail and office use with direct access from McGregor Blvd. to the site. The applicant, Palmetto Capital Group, worked closely with the professionals from Morris-Depew Associates and the County Staff to produce a development plan that considered the neighborhood’s unique characteristics while providing retail opportunities for the community in which the development is to be located. Under the direction of Ryan Shute, PE, and with the assistance of Mark Hatfield, PSM, the recombination of a series of lots on Gasparilla Island, originally platted in the 1920’s and owned by the Gasparilla Inn, was achieved. In combination with Charles Basinait, Esq. of the firm of Henderson, Franklin, Starnes and Holt, P.A., the lots were recombined to allow for modern, code-compliant structures, done in a style intended to enhance the Inn’s island aesthetic, to be constructed. Located between Bradley and Lee Avenues in Boca Grande, the proposed cottages should be an asset to both the Gasparilla Inn and the historic neighborhood in which they will be located. Please share this with your associates. Should you have suggestions, comments, or if you would like to join our mailing list, please send us a note at update@m-da.com. The Professionals at Morris-Depew Associates, Inc. have provided civil engineering, land planning, and expert witness services since 1989. More recently, we have provided landscape architecture—along with surveying and mapping services—to fully satisfy the needs of our clients. David W. Depew, PhD, AICP, LEED® AP, brings with him more than 35 years of experience as a county development director, planning consultant, and expert witness and litigation support. Dr. Depew has been qualified as an expert in comprehensive planning, policy analysis, zoning, transportation planning, and related areas in a variety of circuit courts throughout the State of Florida, including the Eighth Judicial Circuit in Alachua County, as well as in Federal Court and in Florida Administrative proceedings conducted under Chapter 120, F. S. Additional areas of expertise include traffic analysis, policy analysis, eminent domain-related planning issues, demographics, and statistical modeling.